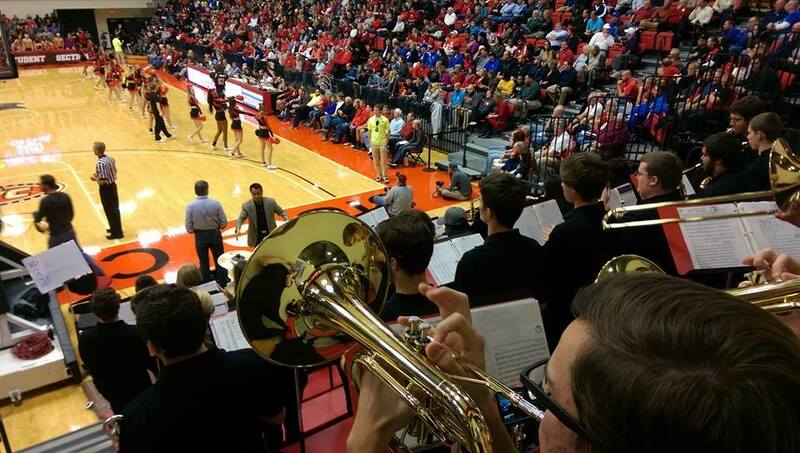 The E band is the musical spirit at all men’s and women’s home basketball games. Directed by Professor Dan Smithiger, this ensemble is open to all musicians through an audition (sight reading, scales). Contact Mr. Smithiger for details.